Makeup is my love language. Or, is it pizza? Well, depends on the day… Or maybe it’s both. I love budget-friendly and mid-level department store products, and I’m going to share with you what I use and why! 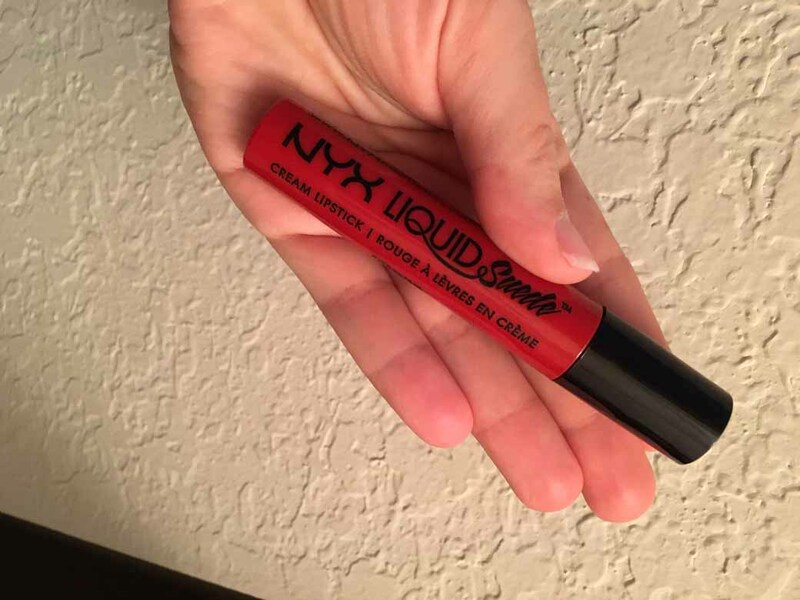 Last time I shared about having a TON of NYX soft matte lip creams in my arsenal of bold lip colors. Well now they’ve gone and made another line—called Lip Suede. These creme lipsticks are brighter, richer pigments that don’t transfer nearly as much as the lip creams and only costs $1 more—coming in at about $7 a tube. Now, this line doesn’t offer as many shades and they do seem to be bolder colors (but that’s a win in my book)! Be careful as you apply, because lip stains are meant to be applied and stay for a while! The shade “kitten heels” is a really fun, bright red that I always get compliments on… Who doesn’t need another shade of red in their bag? You’re welcome. Looking for more lipstick reviews? Check out Rimmel Stay Glossy Timeless Allure and MAC Cremesheen Modesty.